Two new suits were added to the online menswear boutique. 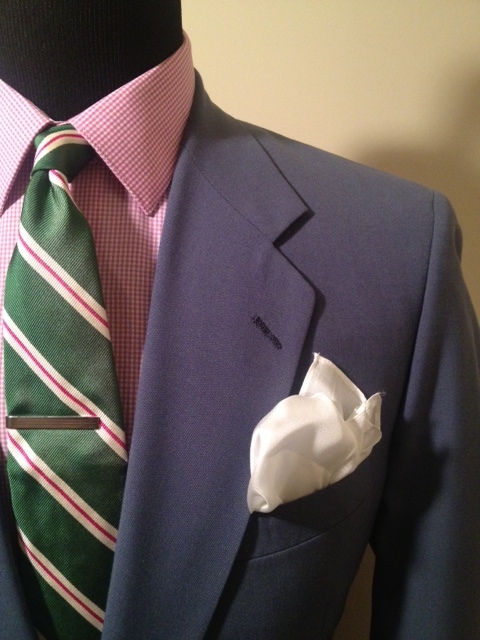 These suits are light weight and made for the warmer spring weather that is just around the corner. 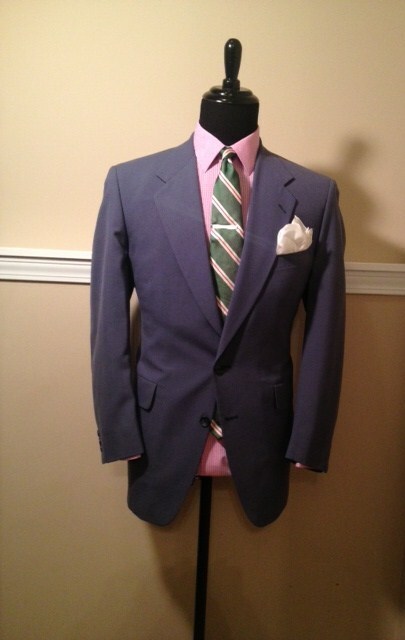 The first suit added is an immaculate slate blue 2 piece suit size 41 Regular with notch lapels, rear center vent, flap pockets, two button closure, and partial interior lining. The trousers are flat front size 34 X 30 with an additional 2.5″ in the waist and a 3″ hem. With tailoring, the trousers can fit up to a 36 X 33. This suit is affordably priced at $52.50. 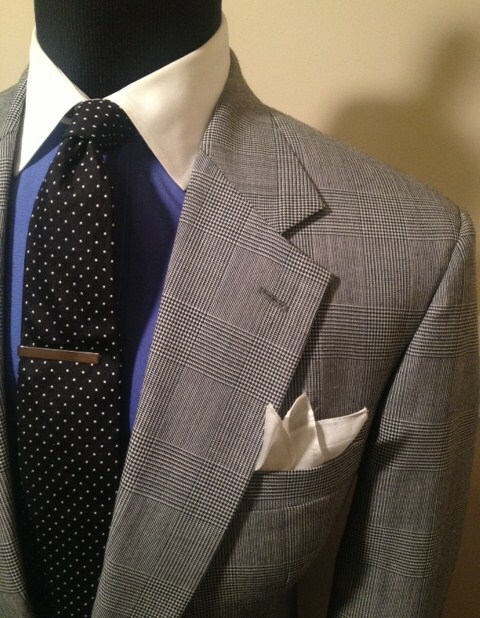 The next suit is a vintage glen plaid suit size 40 Short with notch lapels, two button closure, rear center vent, flap pockets, and full interior lining. Despite the full interior lining, this suit is light weight. Trousers are a 34 X 30 with an additional 3″ in the waist and a 3.5″ hem. With tailoring, these trousers can fit up to a size 37 X 33. This vintage dope piece is affordably priced at $52.50. To purchase these pieces or other great menswear pieces, please visit the online menswear boutique by clicking on the [Menswear Boutique] header in the menu header. 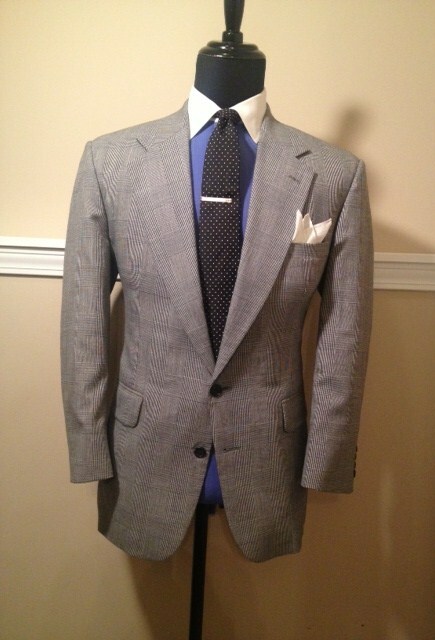 This entry was posted in Uncategorized and tagged light blue suit, slate blue suit, Vintage clothing, vintage glen plaid suit, vintage light blue suit. Charlotte Style, vintage mens suits, Vintage menswear clothing for sale, vintage plaid suit, vintage slate blue suit, Vintage two button suits, Wilbur Dow by wilburdow. Bookmark the permalink.